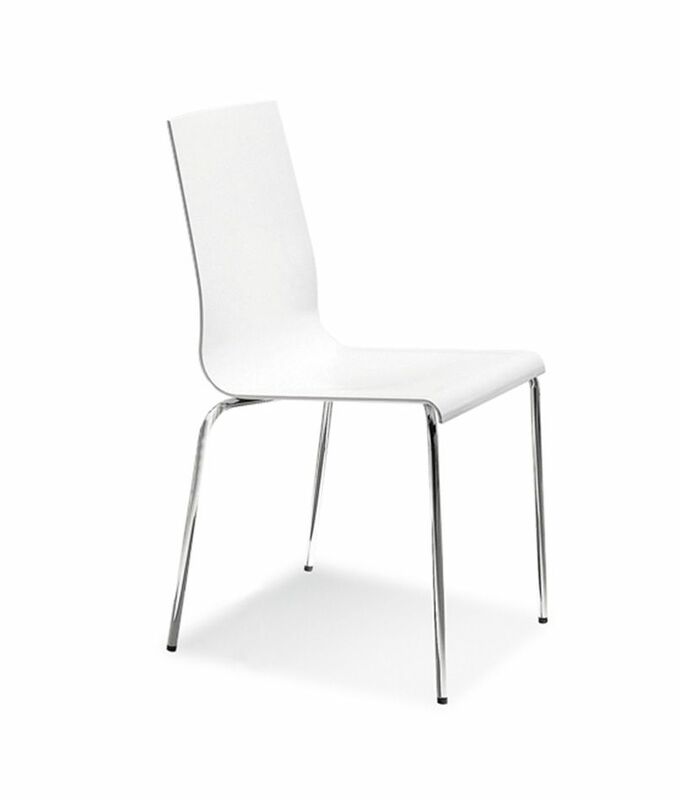 Kuadra chair with shell in white or ivory technopolymer. Flexible, strong and scratch resistant material. Chromed steel tube frame 16 mm. Stackable.